If your chapter likes to decorate the house for all the major holidays, be sure to browse our uniquely beautiful selection of Kappa Delta Phi Holiday Gifts and Christmas Ornaments. These are special items that your chapter can store and use every year if you'd like. The ceramic ornaments we sell have Christmas written all over them, literally, with green and red poinsettia designs on the back. On the front of each of these ornaments you'll find your fraternal images in your org's black and gold colors. 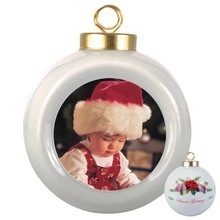 In the case of the Design Your Own Christmas Ornament, you can choose whatever image you want to appear on the face. Speaking of Design Your Own options, there's a Glass Ornament link that gives you the option to customize this product. You can add graphics, text or upload an image that you already have saved on your computer. 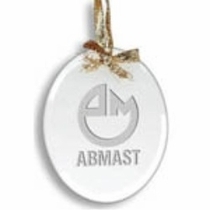 If you need an example of what you might put on your custom ornament, see the one we have listed in this section -- it says "Happy Holidays" above your Greek letters and the current year. Bring the holiday spirit into your chapter house with Kappa Delta Phi Holiday Gifts and Christmas Ornaments from GreekGear.com . The earlier you start decorating, the better! Kappa Delta Phi Holiday Gifts & Christmas OrnamentsThe Greatest Selection. Period.